"Meeting an organisation's security needs with a robust and comprehensive solution has become increasingly challenging." 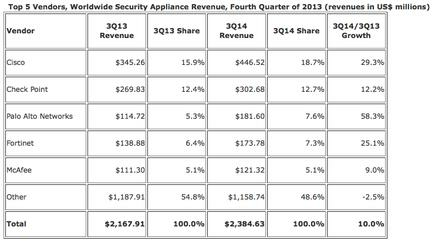 Cisco continues to lead the overall security appliance market with an 18.7% share of total revenue during the third quarter of 2014 (3Q14), and a noticeable gain of 2.8 points of share compared to the same quarter a year ago. This follows IDC reports that both factory revenue and unit shipments continued to grow during 3Q14. Worldwide vendor revenue grew 10.0% year over year to nearly $2.4 billion for the 20th consecutive quarter of positive growth. Shipments also improved 7.3% year over year to 520,752 units, making this the fourth consecutive quarter of growth in a market which is largely being driven by Unified Threat Management (UTM) solutions and a unified cyber security product with many features and capable of performing multiple security functions within a single appliance. "As the number of mobile users, digital applications, and data networks increase, providing a comprehensive threat management solution for identifying and minimising cyber crime poses a challenge to every sector and has become a critical piece of infrastructure," says Ebenezer Obeng-Nyarkoh, Senior Research Analyst, Worldwide Trackers Group, IDC. "Cyber breaches can be very detrimental to an organisation and meeting an organisation's security needs with a robust and comprehensive solution has become increasingly challenging." While Cisco continues to lead the overall security appliance market, Check Point remained the second largest security appliance vendor with year-over-year revenue growth of 12.2% and a slight share gain. Palo Alto Networks was the fastest growing vendor in this space with year-over-year revenue growth of 58.3%, making it the number 3 security appliance vendor with 7.6% revenue share and 17.6% share of UTM revenues. Fortinet held the number four position with year-over-year revenue growth of 25.1% and impressive shipment growth. Over the past seven quarters, Fortinet has sequentially increased its unit shipments and remains the largest security appliance vendor in terms of shipments with 20.0% share of shipment volume in 3Q14. For the second consecutive quarter, McAfee gained revenue share from Juniper to maintain its position among the top 5 vendors with 5.1% revenue share and 9.0% year-over-year revenue growth. Read more Which areas will spur IT spending in 2015? 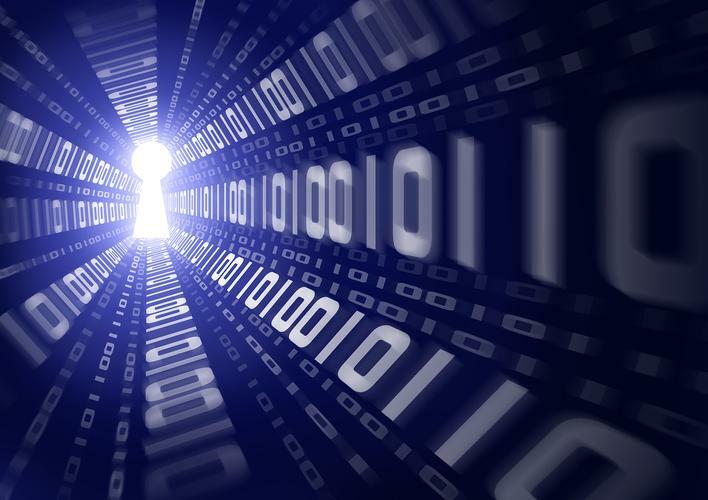 Are Kiwi companies really worried about digital risk?